North Rim Campground is located on the eastern side of a 4,000-foot deep side canyon called the Transept and less than a mile north of the North Rim Lodge and visitor center. The campsites are shaded by old-growth ponderosa pines, and there are scattered aspen trees that add spots of vibrant yellow in the fall. The campsites are well spaced and the campground has a nice open feel. The campground is comprised of three areas: sites for tents only (12), sites for tents, car and RV camping (78), and group sites (3), which can only be used by groups with tents. 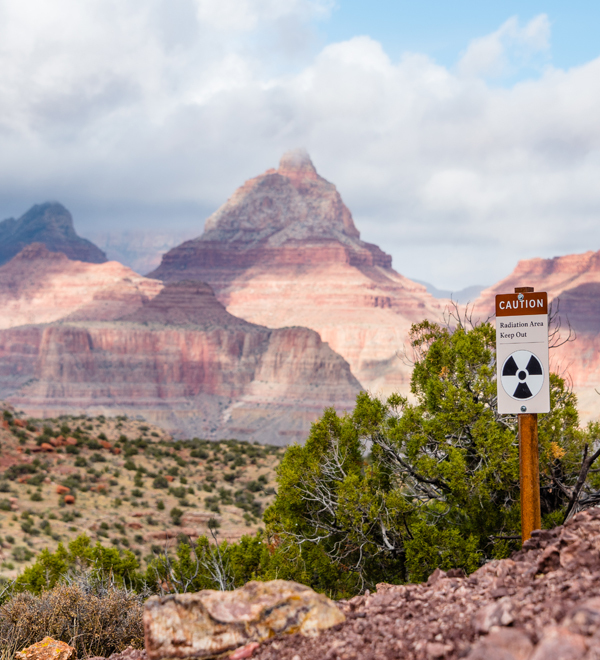 The south end of the car camping area is on the rim, and sites 11, 14, 15, 16, and 18 have views of the canyon. In the tent area, vehicles are parked in a large gravel lot and campers pitch tents 50 – 100 feet from their cars. The west side of the tent area is on the rim of the Transept and sites T-1 through T-6 have views. An easy walk along the Transept Trail takes you to the North Rim Lodge and visitor center. Walks along the Transept are particularly enjoyable in the early morning and evening. The Bridle Trail connects the campground with North Kaibab and Uncle Jim trailheads (0.8 mile). 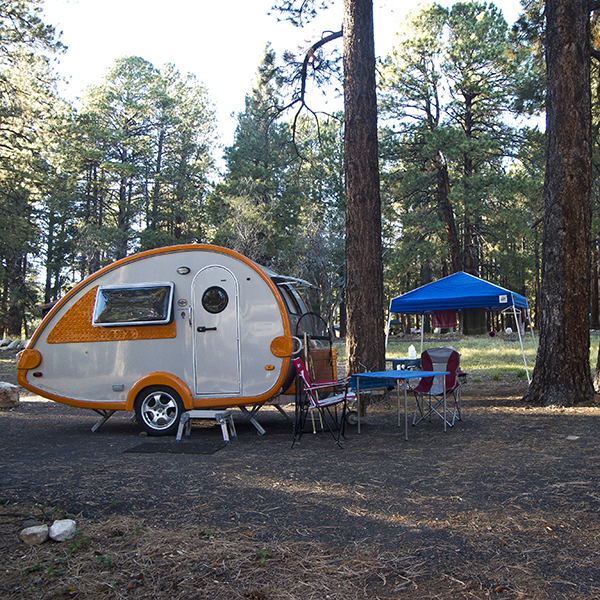 The turnoff for the campground is one-half mile north of the North Rim Lodge in Grand Canyon National Park. Although the North Rim is only 10 miles from the South Rim as the crow (or raven) flies, it is 210 miles by road, which goes east to Cameron, north to Lee’s Ferry, west to Jacob Lake Lodge, and then south to the North Rim.